Madiha Noman winter 2012-13 dresses for women were released a few days back. Included in these winter dresses by Madiha Noman are nice formals and casuals for ladies. Madiha Noman winter 2012-13 dresses have traditional styles mostly. However, some of the dresses are unique. You can see kaftans, angarkha style shirts and churidaars in the collection. Most of the dresses have shirts with dabka work on the front. This makes them suitable for wearing to weddings. Overall Madiha Noman winter 2012-13 dresses collection is one which has something to please all ladies regardless of their age. Madiha Noman came into the fashion industry many years ago. Now, she is quite well-known, especially among the fashion conscious women of today. Her outfits can be seen in the media frequently. You can see her outfits featured in magazines, in fashion shows and television shows quite often. Basically, Madiha Noman is an engineer by profession. However, she did a course in Fashion Designing from a leading art school in Pakistan. She provides a wide range of outfits including bridal wear outfits, formal wear outfits, semi-formal wear outfits and casual wear outfits. Moreover, various fabrics are used in her outfits. She has released quite a few collections in 2012. The last one, Madiha Noman Bridal dresses 2012 collection, was released a few months ago. The studio of Madiha Noman is in Zamzama. Other than that, her outfits are sold in a few different cities in Pakistan and in other countries also. 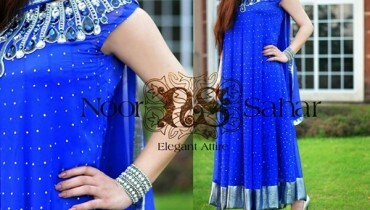 You can see the pictures of Madiha Noman winter 2012-13 dresses below. 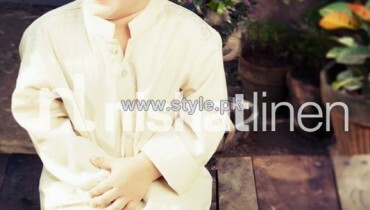 These are pictures from the photo shoot of Madiha Noman winter 2012-13 dresses collection. The photographer for the shoot was Yasser Sadiq. The model was Riya Khan and hair and makeup was done by Angie Marshall. The collection hit the stores recently. So, if you want any of the stylish dresses from this range, go to the stores today. For more information, visit Madiha Noman’s page on Facebook.